Chicago: Frigid Temperatures Break January 30 Record Low. 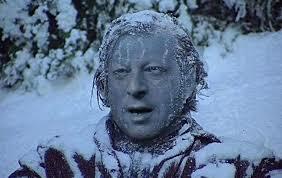 Al Gore’s Arctic warm air cools off the country. Warmal Cooling strikes again. Kamala Harris ‘no reason in a civil society’ to have semi-automatic ‘assault weapons.’ If you needed another reason not to vote for Willie’s concubine, here you go. 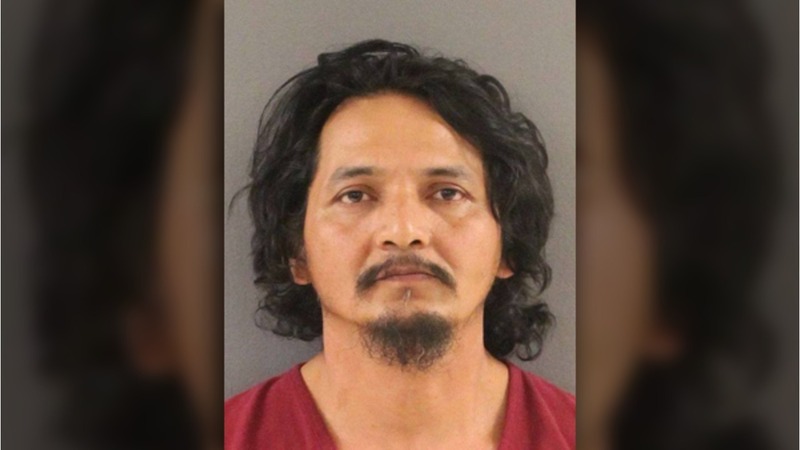 Illegal Alien Granted $3.5K Bond After Allegedly Killing Pierce Corcoran. Yes, you read it right it’s $3,500, not $3.5 million. This judge should should be bounced off the bench head first. Pope Francis declares neutrality on Venezuela. What a cowardly, disconnected, spiritually bereft leader the Catholic church has. Even with people starving, he won’t come out against the communist dictator. How about a GoFundMe page for the new Dem. Senator from Arizona? She can use the money to either buy more appropriate clothes, or install a stripper pole on the Senate floor. Bloomberg wants armed guards for alma mater. Hypocrisy must be his middle name. Yes presidential wannabe Big Gulp likes armed guards for me and my buddies but no guns for thee. We suggest rocks or hockey pucks. Willie Brown Admits He Boosted Kamala Harris’s Career. Great timing on coming out with the new Kamala Harris Action Doll. We won’t get into what the action is. We hear rumor it comes with kneepads. Baltimore School Board Kills Bill That Would Have Allowed Armed Police in Schools. Yes, it’s always better to let armed shooters run around schools shooting innocent children unimpeded until the police arrive 10-15 minutes later. Maybe they can get some hockey pucks. Nearly 1,500 private jets to land at climate change-focused Davos summit. It appears the wealthy have no qualms about being hypocrites. Jackson Lee Steps Down From 2 Leadership Posts After Lawsuit. Democrats are eager to complain about anything the Republicans do but are rife to admit to any wrong doing on their part. When is Kamala Harris’ going to be investigated over the $400,000 California paid out for a sexual harassment claim during her watch as AG? Democratic Rep. Sheila Jackson Lee of Texas is stepping down from two leadership positions following a lawsuit from a former employee who says her sexual assault complaint was mishandled. Feds Spend $453,592 Giving Financial Support to Transgender Women. Another day another government waste of tax dollars. Then everyone wonders why people resent paying taxes. ANOTHER FIREARMS BUSINESS LEAVES NEW YORK. Democrat run New York, like California keep scaring off businesses. Who will win the race to the bottom? Privileged, Old White Male Michael Bloomberg Plans to Win Democrat Presidential Nomination on Gun Control. You go gurl. WA Lieutenant Governor Refuses to Attend ‘State of State’ Ceremony, Fearing Concealed Carriers. This make no sense. The Lt. Governor is blind. To him, everyone is a concealed carrier. You could walk by carrying a dozen guns and he wouldn’t even know it. Revealed: NBC pretty much owns Buzzfeed. Explains a lot, doesn’t it? Supreme Court agrees to hear 2d Amendment case involving NYC firearm transport restrictions. In NYC a “Premises Permit” only allows you to have a firearm in your residence/business and to only transport it to/from 6 licensed gun ranges. Believe it or not you can’t take it out of the city even if unloaded and locked up. Feds Spend $246,070 Getting Kids to Stop ‘Emotional Eating’ by Meditating. Today’s government waste of money post. The project, “Reducing Emotional Eating in Obese Low-Income Adolescents With Mindfulness-Based Behavioral Weight Management,” received $246,070 from taxpayers. 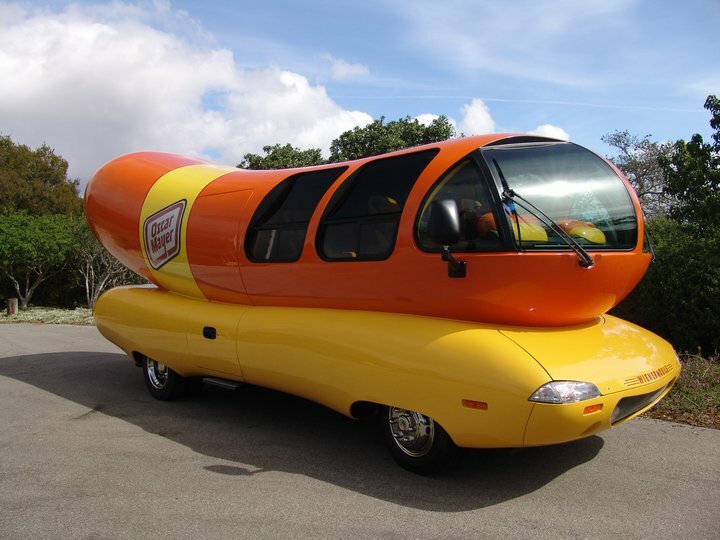 Oscar Mayer accepting applications for Wienermobile drivers. This is definitly a job made for Anthony Weiner.